A garden sprayer is an essential gardening gear that helps you apply liquid treatments to your plants. In fact, if you want to grow healthy vegetables, you’ll probably have to spray them with fungicides, insecticides, and fertilizers. I’m not talking about industrial or chemical products. Even manure tea is a liquid fertilizer you’ll have to apply with a garden sprayer. In this guide, I’m going to share some vegetable gardening tips and show you how to choose the best garden sprayer for your needs. If you don’t feel like reading, click on the links below to see which are the best garden sprayers on the market. 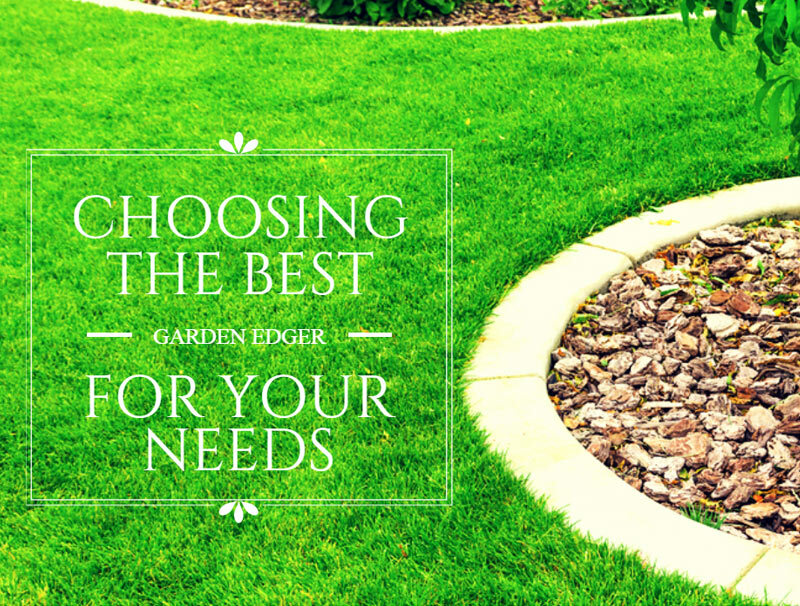 Why Do You Need The Best Garden Sprayer? When Should You Spray Your Veggies? Applying liquid treatments to the vegetables is one of the main gardening chores. But do you really need a garden sprayer to do it? Well… if you’re truly experienced and know how to dose and pour liquid treatments on each plant, probably not. However, the best garden sprayer can help you care for your plants with more ease. In fact, a garden sprayer will usually allow you to control the output of the mist, the flow of the liquid, and even the dose. But even the best garden sprayer and spraying technique can’t make a difference if you’re not spraying your garden and vegetables at the right moments. If you’re new to gardening and would love some advice, read on to find out when to spray your vegetables and with what. Spring: the first spraying of your vegetable garden should be made in early spring. You should use an organic insecticide and fungicide to remove all the dormant insects and diseases from developing. Make sure to spray all your perennials. In late spring, you should perform a secondary spraying with a powerful and organic herbicide to prevent the growth of weeds. Summer: in early summer your vegetables are still young and weak. Check the plants regularly for pests and diseases and spray them as needed. At about mid-summer, remove all weeds and dead plants from the garden and start spraying the healthy vegetables with fungicides and insecticides once every seven to ten days. Continue throughout the summer following a spraying program designed to keep under control pests, diseases, and weeds. Fall: in this season most pests try to find a cozy place to hibernate. In most cases, this place is next to the foundation of your house or in any wall cracks. Spray a powerful insecticide around the foundations of your house and shed, to prevent crawling pests from getting into any wall cracks. This will help you have a better control over the pests in the next season. On the market, there are different types of garden sprayers. The best garden sprayer for you is, without a doubt, the one which is the most adequate to your needs. Let’s have a look at the main differences between the various types. Trigger sprayers: are the simplest and most inexpensive models. They are made up of a plastic squeeze pump with a handle mounted on a plastic container. They are very similar to the garden misters and are ideal to use in small gardens when you have only a few plants to care for. Hose-end sprayers: are devices which attach to the end of a garden hose and consist of a container and a sprayer head that allows you to perform the required dilutions with water. Most of the times, these sprayers are also equipped with a nozzle that allows you to apply the solutions directly on the plants. They are ideal for small or medium-size gardens and are easier to operate than the trigger sprays. Compressor sprayers: for larger gardens, a compressor sprayer is a more common solution. This type of garden sprayer is made of three parts and includes a tank for the product mix, a pressure pump, and a nozzle. Compressor sprayers can be hand-held or backpack and their capacities range from one to five gallons. Trombone sprayers: are ideal to use in hard-to-reach corners, but they require continual pumping and the liquid stream is not constant. For this reason, this type of garden sprayer is more recommended to use in an orchard rather than in a vegetable garden. Like the type, the capacity of the best garden sprayer must be chosen in accordance with your needs. It is useless to invest in a 5-gallon sprayer if you only have a few rows of vegetables, as you’ll end up wasting a lot of products. At the same time, it is quite time-consuming spraying a large garden with an 8-ounce trigger sprayer. Matching the type of sprayer to the size of your garden saves you both time and money. If you want to invest in the best garden sprayer for your needs, apart from the type and capacity you should also check other characteristics. The most important is the weight. If you have a medium-sized or large vegetable garden, then you should probably invest in a backpack garden sprayer which is easier to carry around. Hose-end or handheld sprayers are suitable for small gardens, and in this case, weight is not really a concern. In the case your garden is on a flat terrain, there are also wheel-mounted sprayers which are easier to carry. The durability of the garden sprayer should also concern you. Even organic products can be corrosive on some types of plastics, therefore make sure the sprayer you want is made of heavy-duty plastic that is corrosion and UV-resistant, durable, and easy to clean. Chapin is a renowned garden sprayers manufacturer with an experience of over 100 years in the field. Its products are rated among the best garden sprayers, and one sprayer that stands out is the Chapin 20000 Poly Lawn and Garden Sprayer For Fertilizer, Herbicides, and Pesticides. This garden sprayer has a capacity of 1 gallon and is ideal to use in medium-sized vegetable gardens. The material is compatible with all common fertilizers, pesticides, and herbicides, and the sprayer is also suitable to use with a wide range of organic or home-made fertilizers. The tank is made of translucent plastic and boasts a funnel top, making it easy to fill and clean. Moreover, the unique SureSpray anti-clog filter ensures a clog-free spraying of all solutions. The sprayer also boasts other features, such as an adjustable nozzle, a 28-inch reinforced nozzle, and a 12-inch wand, plus a comfortable spray handle. The sprayer is also ergonomic, easy to handle and easy to pump with. Last but not least, the tank is equipped with a comfortable shut-off that is designed for hours of spraying. Ergonomic handle: this garden sprayer boasts an ergonomic pump handle that allows you to manage the weight with ease. Wand clip: designed for a comfortable use, the handle of this garden sprayer also includes a clip designed to hold the wand when not in use. SureSpray anti-clog filter: the SureSpray anti-clog filter is designed to swift between the product clogs and debris, providing a continuous and steady stream. Capacity: the 1-gallon capacity is just right for most gardeners. The tank will never get too heavy and managing the sprayer is easy and simple. The garden sprayer doesn’t have a release valve, which is a disadvantage for many gardeners. Solo 418 One-Hand Pressure Sprayer is a compact trigger sprayer ideal for beginner gardeners or those enthusiasts who have an indoor vegetable garden. The sprayer has a capacity of 1 liter or 0,26 gallon, it is easy to handle and perfect to use for a wide range of gardening and household chores. This garden sprayer is made of heavy-duty plastic that is resistant to extended use with harsh chemicals and not only. The gasket and O-rings are also durable and resistant, ensuring that you’ll be able to enjoy this sprayer for a really long time. Regarding the ease of use and comfort, the sprayer has an ergonomic handle and trigger design. A multi-directional nozzle will allow you to spray from all positions and direct the stream where is needed. Moreover, a unique drift and drip guard provides an added control for spot treatment. Another feature we like is the pressure release valve. This is important because it will prevent you from getting a blast of chemical drops on your face when opening an empty sprayer. Pressure release valve: will allow you to release the pressure from the garden sprayer before opening it. Locking trigger: to reduce fatigue, this garden sprayer is equipped with a locking trigger that will allow you to spray continuously and without hassle. Multi-directional nozzle: directing the stream where is needed and spraying from all positions is as easy as pie. Easy to fill: the sprayer has a large bottle opening that is ideal for easy filling and cleaning. Moreover, a large base provides stability to the sprayer when not in use. The capacity is low, yet it could be perfect for beginners. If you like Chapin garden sprayers but have a larger garden and need a sprayer with a larger capacity compared to the Chapin sprayer described above, then you could consider the Chapin 20002 Poly Lawn and Garden Sprayer For Fertilizer, Herbicides and Pesticides. This garden sprayer has a 2-gallon capacity and it is ideal for medium-sized vegetable gardens. It also represents a great solution if you want a sprayer suitable for both your garden and your lawn. The sprayer is made of heavy-duty plastic and it is made to last in time. Regarding its features, this garden sprayer has a translucent tank designed for easy filling and cleaning. In fact, the opening of the tank is funnel-shaped to enable an easy opening with the liquids. The sprayer is suitable to use with liquid products or with powders that have to be diluted. To prevent the formation of clogs, the sprayer features a SureSpray anti-clog filter that holds the clogs and debris to provide an uninterrupted stream. Easy to use: this garden sprayer comes with a 12-inch wand and a 28-inch reinforced hose that allow you to deliver the product exactly where is needed. Ergonomic: the sprayer is easy to carry around thanks to the ergonomic handle. Thanks to its shape, the handle ensures an easy pumping and carrying. Heavy-duty: the garden sprayer is made of heavy-duty plastic and it is suitable to use with all common fertilizers, pesticides, and herbicides. Shut-off function: the garden sprayer comes equipped with a comfortable shut off that is designed for hours of spraying. It may happen for the dispensing valve to remain open and dispense liquids in undesired areas. The Smith 190285 1-Gallon Bleach and Chemical Sprayer for Lawns and Gardens is another excellent garden sprayer to consider for your vegetable garden. This garden sprayer is easy to use, it only requires a 1-step assembly and it is made to last for a long time. The tank is made of heavy-duty plastic and it comes with an adjustable nozzle made of polypropylene. The nozzle adjusts to two modes, which are stream or cone, allowing you to use the sprayer for a lot more than gardening. In fact, the sprayer is suitable to clean your patio, water houseplants, or apply various products to your vegetable garden. The sprayer is safe to use with a wide range of chemical and harsh chemical products, including bleach. A comfortable grip and the shut-off function are two other features we really liked. Easy to use: this garden sprayer requires an easy 1-step assembly while its ergonomic handle makes it easy to carry and use. Easy to fill: the large, funnel-shaped mouth makes filling the container a breeze. Thanks to the same feature, the sprayer is also easy to clean. Replaceable seals: the sprayer comes with replaceable Viton seals and gaskets throughout the pump and wand. They increase the sprayer’s longevity. Adjustable nozzle: the sprayer is equipped with an adjustable nozzle that is ideal to provide a steady stream or a mist of product, depending on your needs. Although the sprayer is easy to assembly, the manufacturer doesn’t provide specific instructions, which is a negative point. In the case you have a small indoor vegetable garden, then a trigger sprayer might be all that you need. If this is the case, a handheld garden sprayer we recommend is the Chapin 1002 48-Ounce Hand Sprayer For Multi-purpose Use. As its name says, the sprayer can be used for multiple purposes, including fertilizing your veggies, applying a herbicide or a pesticide to your garden, or even to water your household plants. Moreover, the sprayer is also suitable to use to clean various surfaces. The sprayer has a capacity of 48 ounces and it is made of heavy-duty plastic. It is compatible with the most common fertilizers, herbicides, and pesticides, but also with other harsh chemicals, such as bleach. Other features we like are the ergonomic handle, the anti-clog filter, and the adjustable nozzle that can provide a fine mist, a coarse stream, or anything in between. Usability: this garden sprayer is suitable for a wide range of purposes, including caring for your plants, cleaning surfaces, and more. Adjustable nozzle: if you need the sprayer to water your plants, choose the fine mist mode. To apply fertilizers or pesticides, choose the coarse stream mode. Anti-clog filter: dissolving the powder fertilizers is often a hassle, but you’ll not have to worry about this issue any more thanks to the anti-clog filter. Model: the sprayer is easy to fill thanks to the wide mouth and it is also really easy to clean. The ergonomic handle makes it easy to carry and use. It seems that some parts of the sprayer might contain lead, which is a major inconvenience. In our opinion, the best garden sprayer available on the market is the Chapin 20000 Poly Lawn and Garden Sprayer For Fertilizer, Herbicides and Pesticides. What we like about this sprayer is its capacity that makes it perfect for small and large jobs alike. Moreover, the sprayer is made of heavy-duty plastic and it is ideal to use with a wide range of harsh chemicals. Thanks to this feature, the sprayer is ideal for many purposes. The sprayer is also ergonomic, easy to carry and, above all, easy to fill and clean. It has a reinforced 28-inch nozzle and a 12-inch wand that will allow you to apply the products exactly where they are needed, making gardening a breeze. The only improvement the manufacturer could bring is the addition of a pressure release valve. Other than that, this certainly is one of the best garden sprayers to consider.